Is there a better alternative to Fiona Finch and the Finest Flowers? Is Fiona Finch and the Finest Flowers really the best app in Action category? Will Fiona Finch and the Finest Flowers work good on macOS 10.13.4? Fiona Finch and the Finest Flowers...Fiona is trying to forget her past by totally immersing herself in the world of gardening. 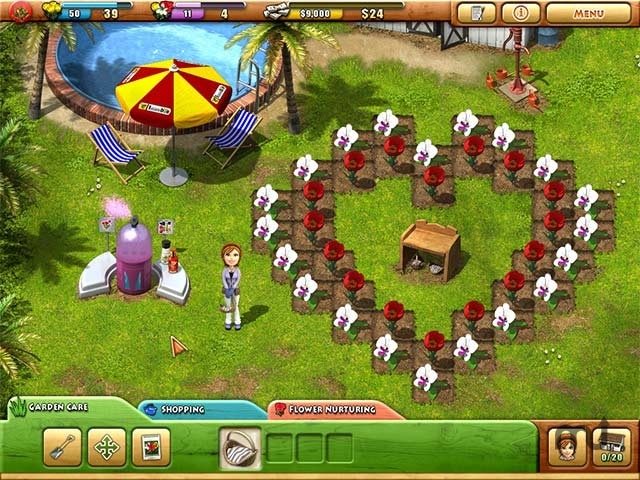 Fiona is out to win the Finest Flowers competition and needs your help! Travel to Fiona's home town of Beeville, and dive into the fiery competition in this fast-paced Time Management game. Grow gorgeous geraniums, terrific tulips, vibrant violets, and walk away with the grand prize in Fiona Finch and the Finest Flowers! Fiona Finch and the Finest Flowers needs a review. Be the first to review this app and get the discussion started! Fiona Finch and the Finest Flowers needs a rating. Be the first to rate this app and get the discussion started!